U.S. Financial Insurance Company is not actually a health insurance provider, but sells life insurance and is officially known as U.S. Financial Life Insurance Company. The company is a member of the MONY family of companies and is a subsidiary of AXA Financial Group, a leading financial protection company founded in 1859 and headquartered in New York, New York. Do you still need health insurance instead of life insurance? Find affordable health insurance by clicking here and entering your zip code to get a free list of health insurance quotes. U.S. Financial Life Insurance Company was founded in 1974 in Michigan and known at the time as Associated General Life Insurance Company. 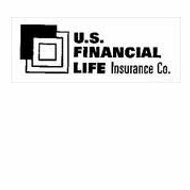 In 1984, its name was changed to Amerisure Life Insurance Company, and in 1990, it finally became U.S. Financial Life Insurance when it moved to Cincinnati, Ohio. On July 8, 2004, U.S. Financial Life Insurance Company was purchased by AXA Financial Group and was soon on the road to becoming its fastest growing company. Today, U.S. Financial Life Insurance Company is led by President and Chief Executive Officer Timothy Herr. The company has assets that total $304 million and net insurance policies that total $45 billion. It prides itself on its ability to maintain honesty and integrity in a competitive financial environment. U.S. Financial Life Insurance Company, and its parent company, AXA, receive solid ratings for financial stability and growth. The following ratings are based on recent financial data as compared to past data showing growth and upward momentum. Additionally, U.S. Financial Life Insurance Company is a member of the Insurance Marketplace Standards Association (IMSA), a voluntary association which promotes ethical practices in the life insurance business. Term Life Insurance – This is the most affordable type of life insurance and is good for first time life insurance policyholders. It covers you for the length of the agreed upon term but can be renewed or converted to a permanent policy when the term is up. Universal Life Insurance – This type of policy offers you more options than term life insurance and has a cash value component. Premiums are flexible and may change over time. Variable Universal Life Insurance – This is a type of universal policy and offers greater growth potential but also comes with greater financial risk. Whole Life Insurance – Whole Life comes with set premiums and the most guarantees and options. It guarantees that the minimum death benefit will be paid no matter how long you live, as long as, the insurance premiums have been consistently paid. U.S. Financial Life Insurance Company tailors its underwriting of policies to each individual applicant as much as possible. The company is known for having developed a method of applicant evaluation called Clinical Underwriting, which refers to the latest medical literature when considering the needs of each client. In doing this, they are often able to offer competitive rates to individuals who have been denied coverage by other life insurance companies. The AXA family of companies is currently seeking talented and innovative people with experience working in the insurance and finance industries. If you are interested in a career in the insurance industry and are considering U.S. Financial Life Insurance Company, you can view their current job opportunities and those in other AXA subsidiaries by visiting the AXA Financial website and clicking on the careers tab. The search option allows you to specify which companies you would like to consider. Search for a company that sells health insurance in addition to life insurance. Click here and enter your zip code for a list of health insurance providers and rate quotes.